It's hard to believe it, but the year is quickly drawing to a close. Soon, it will be time for summer vacation! 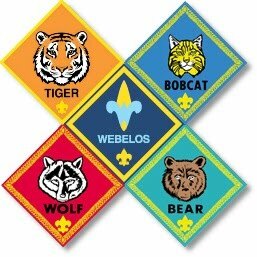 Our Cub Scout program officially ends for the 2014-2015 year on Saturday, May 18th. This is the day of our Crossover Ceremony, when Cub Scouts "cross over" to their next rank. This year's ceremony will be held at Blowing Springs Park in Bella Vista, beginning at 5PM. Dinner will be served at 5:30, and the ceremony will begin at 6:30. Please RSVP as soon as possible to our Cubmaster, as we'll need an accurate headcount to make sure we have plenty of food for everyone. Contact our Cubmaster if you have any questions!